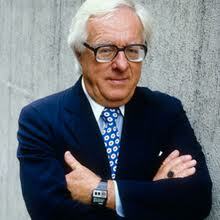 While casting about last Wednesday for a topic for today’s post, I learned that the great author Ray Bradbury had died. As I clicked through a few articles on the internet, reading quotes and anecdotes, I thought of the many summer afternoons I spent with my nose in a Bradbury book. I read the same ones over and over, and only years later did I realize how incredibly prolific a writer the man was. I still reread my old favorites as I continue to discover new ones. Read. Mr. B read extensively and attributed his success to the education he received not from college (which he did not attend) but from frequenting libraries. Write. Mr. B had a writing goal of 1,000 words a day. Every day. Peek into the dark corners. Much of Mr. B’s inspiration came from his childhood fears and nightmares. Be diverse. Mr. B wrote short stories, novels, essays, screenplays, and probably anything and everything else that appealed to him. Avoid the quicksand. No writer can be as prolific as Mr. B while languishing in the quicksand of perfectionism and self-doubt. Finish a project and move on. Stick to your strengths. Though widely regarded as a science fiction author, Mr. B was not interested in the technical aspects of the genre. So he left them out in favor of his gift for lyrical and descriptive writing. Stay focused. Mr. B reportedly hated the Internet. Had it been around when he was younger, he might not have felt the same way, as it can be quite helpful. But we all know it can also be a huge distraction. Keep a sense of wonder. Though many of his themes are adult, Mr. B never forgot what it was like to be a child. “Everything I’ve done is a surprise, a wonderful surprise,” he said. No, not all of us will be discovered by the likes of Truman Capote and go on to have a career that spans 7 decades. (Way too late for me on that second one.) But we can love what we do and be true to it. Has Ray Bradbury influenced you as a writer? I don't read Science Fiction but the tips you learned from Bradbury were great. Thanks. Good post. It's because I grew up reading my A-B-C's (Asimov, Bradbury, and Clarke) that I became the person I am. That I write is a distant second to that fundamental influence. Ray Bradbury led a generation to love science fiction and all things entertaining. He will be missed. Nathan, I have to admit, I preferred B over A and C.
He influenced my love for books and how important it is to protect our right to publish and read. Fahrenheit 451 is one of few books I reread from time to time. Thanks, Jenny. These are great lessons and good reminders.